The Condo: Modern one bedroom and den at the upscale "Aqua at the Park." This corner unit has SW views. Great layout with a den, insuite storage (with custom built-ins), plus a storage locker. Upgraded floors and light fixtures. Gas range a nd granite countertops. One parking. Pet friendly and rentals allowed. The Building: Full luxury amenities include: 24hr concierge, indoor pool, hot tub, steam room, gym, theatre rooms, guest suites, billiards and even a squash court. 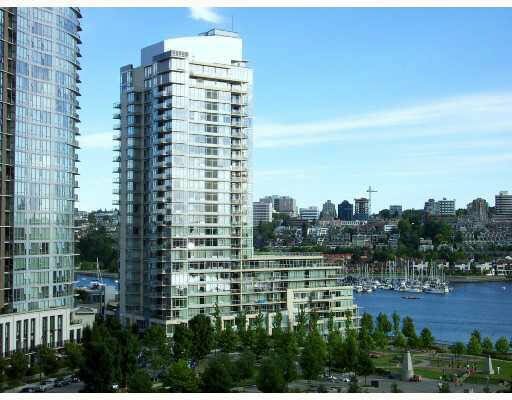 The Lifestyle: Have all the comforts & amenities of urban life, yet steps to the seawall and George Wainborn Park. Nearby ferry bus to Granville Island. Yaletown boutiques & cafes all within walking distance. It's a lifestyle.